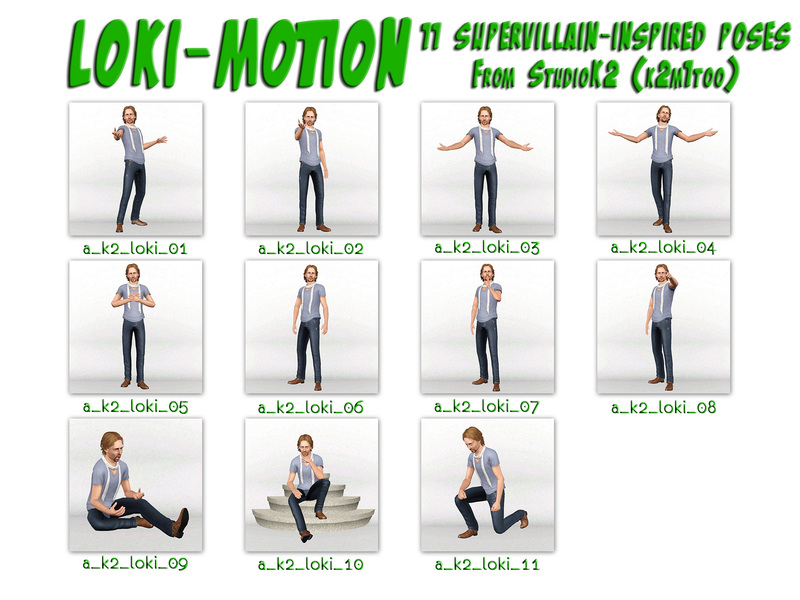 11 poses for your super-villain. 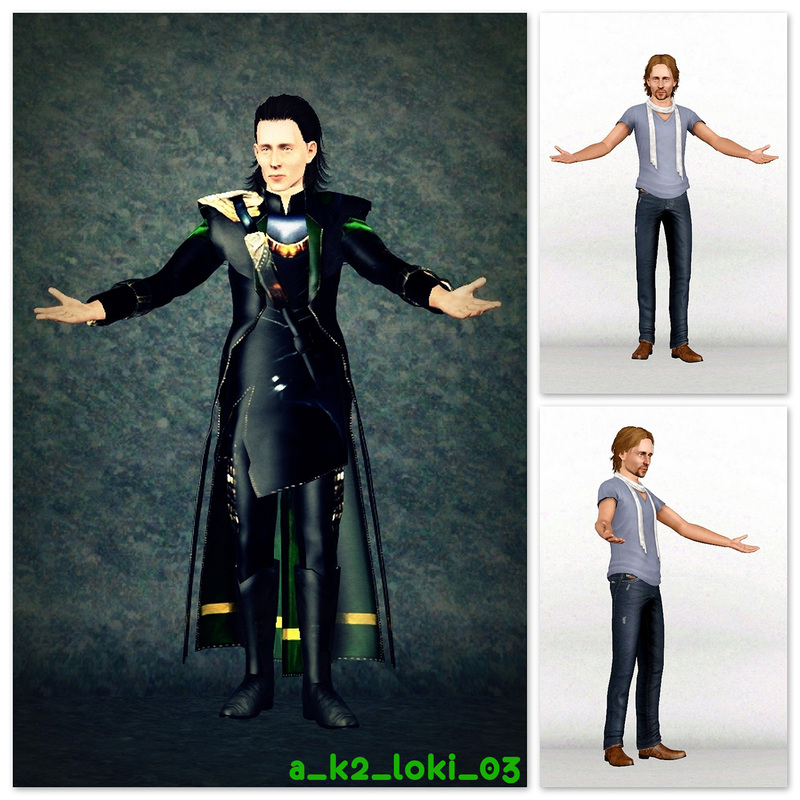 I created these poses while I was working on my Tom Hiddleston/Loki sim. 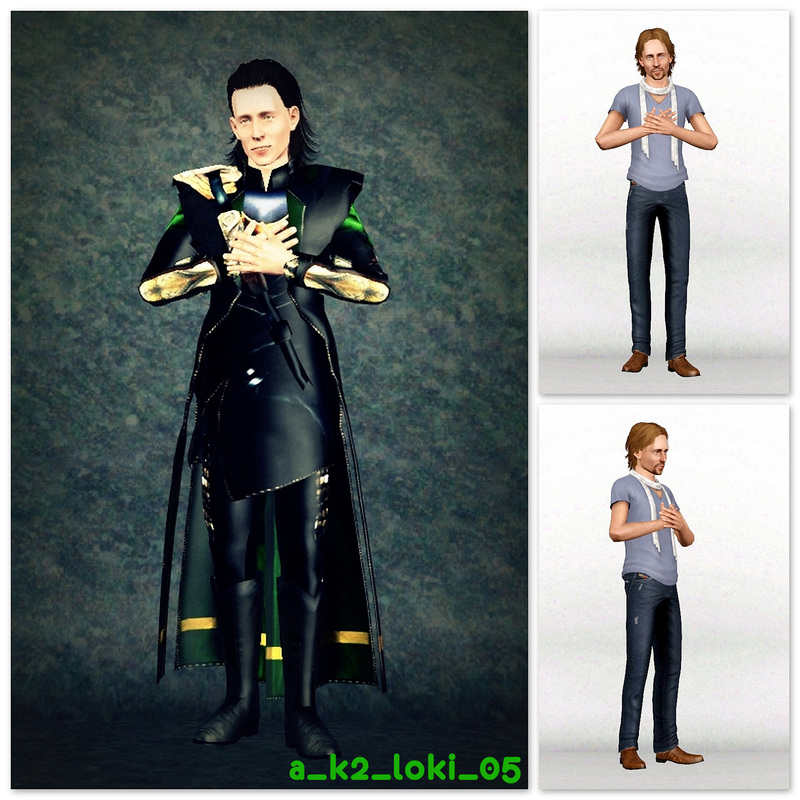 They are all inspired by photos of Tom at Comic Con, images from/promotional posters for one of the Thor movies and miscellaneous action figures. 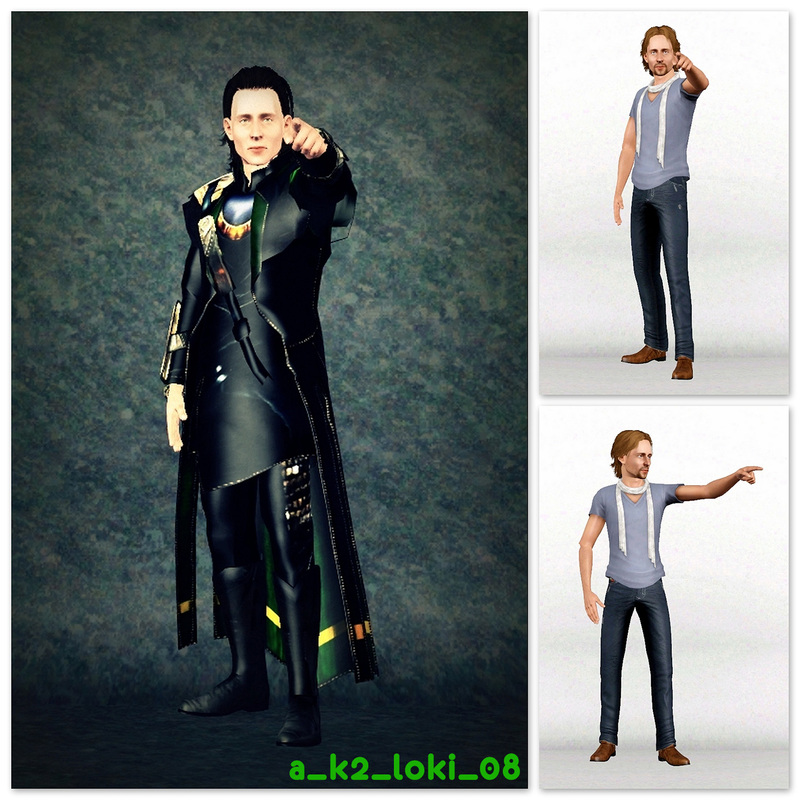 a_k2_loki_02 : I command you! 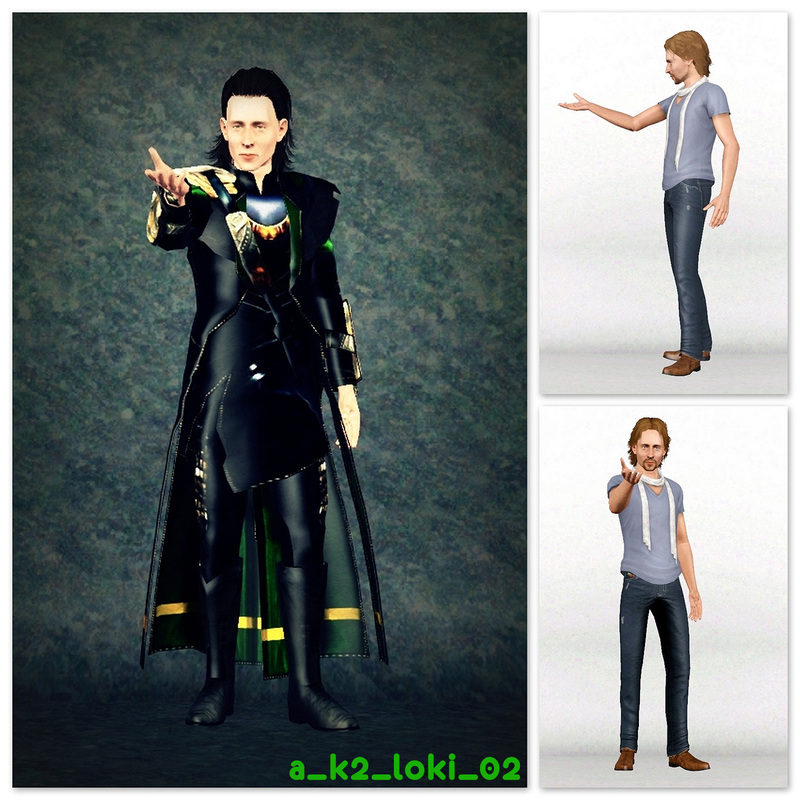 a_k2_loki_05 : I love my fans! 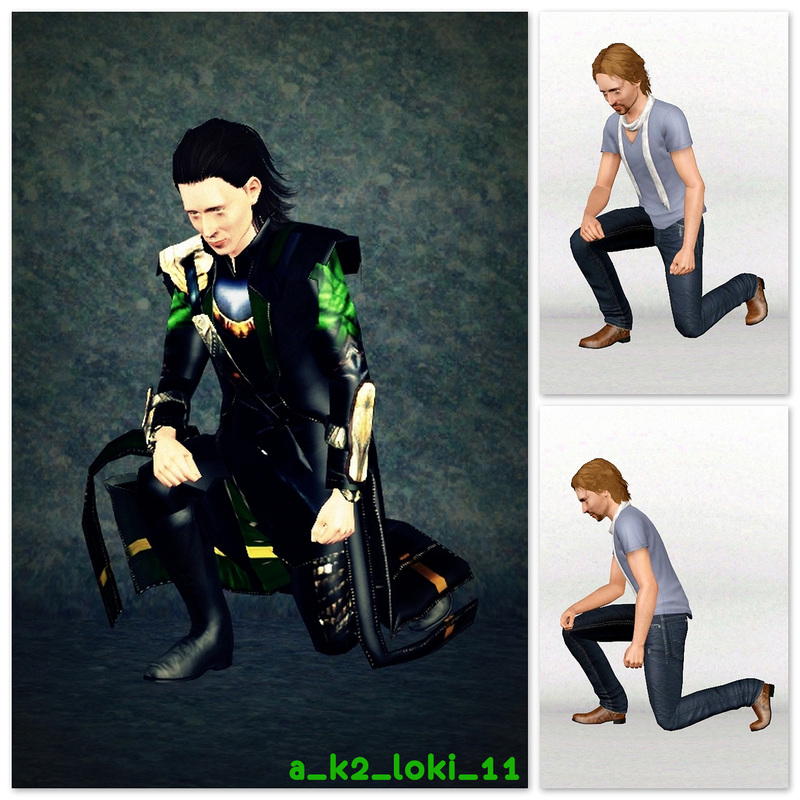 a_k2_loki_08 : You shall pay for this, Thor! 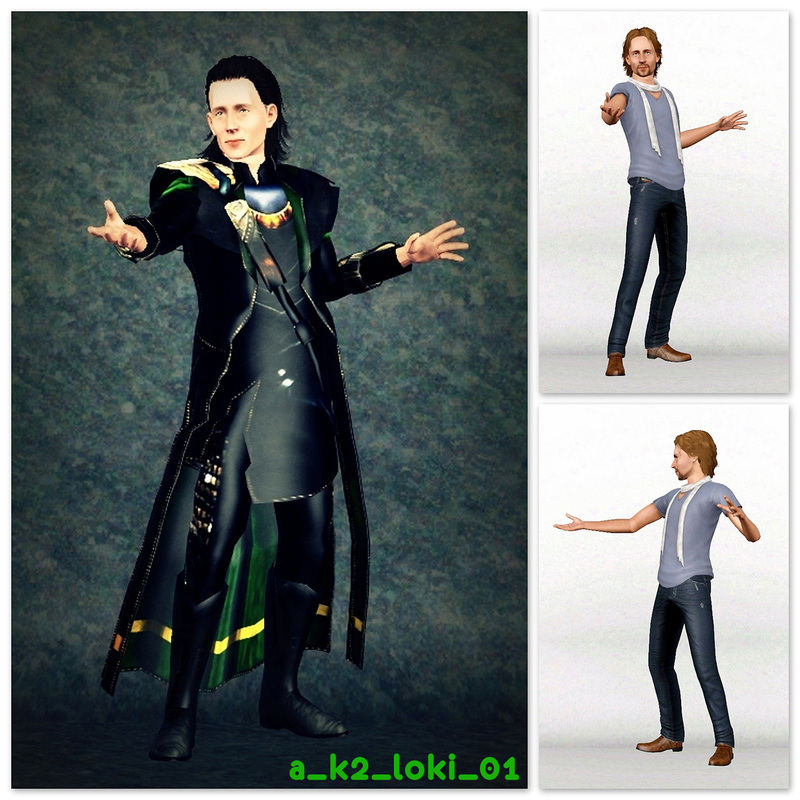 The poses are geared to work with the Loki costume, except for pose #09. 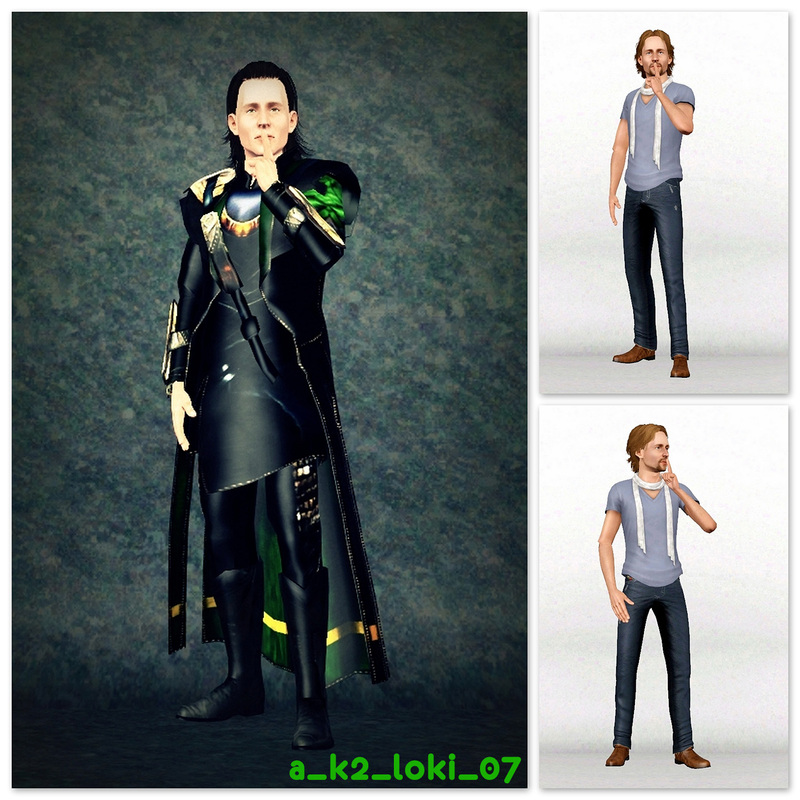 However, you can certainly use them without the costume. 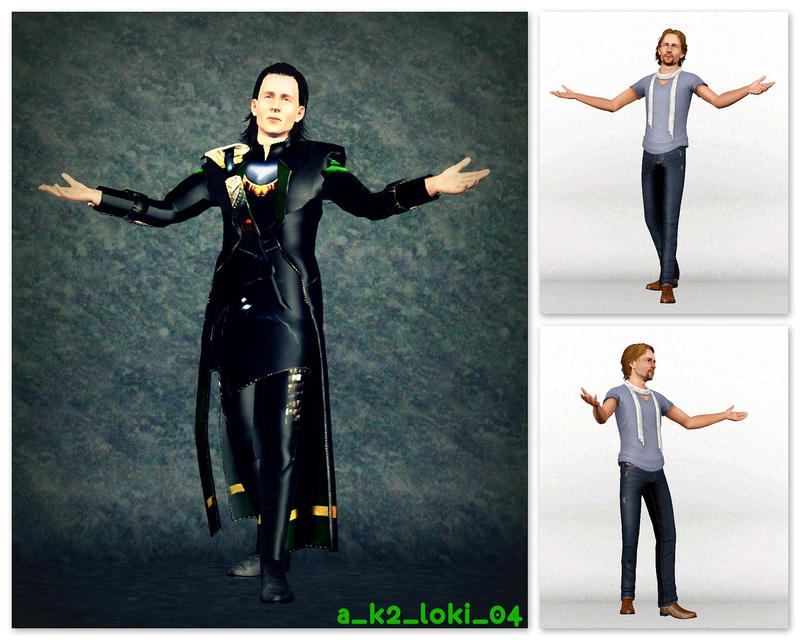 Poses #10 and #11 can be used with the Loki costume, but it does tend to warp a bit. Can't be helped. 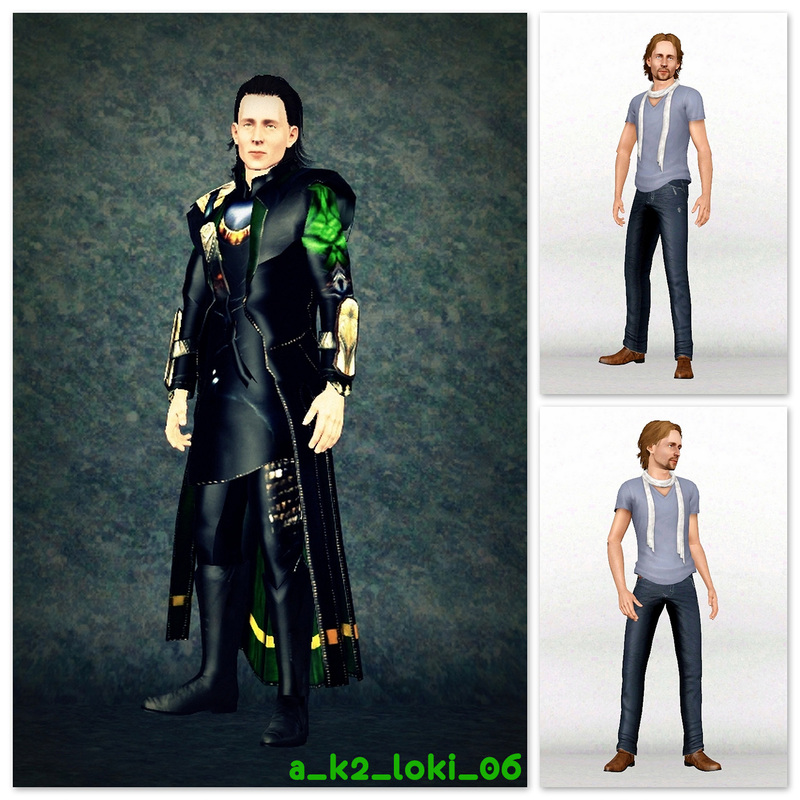 The following items were used on the models and/or in the staging of the photographs. 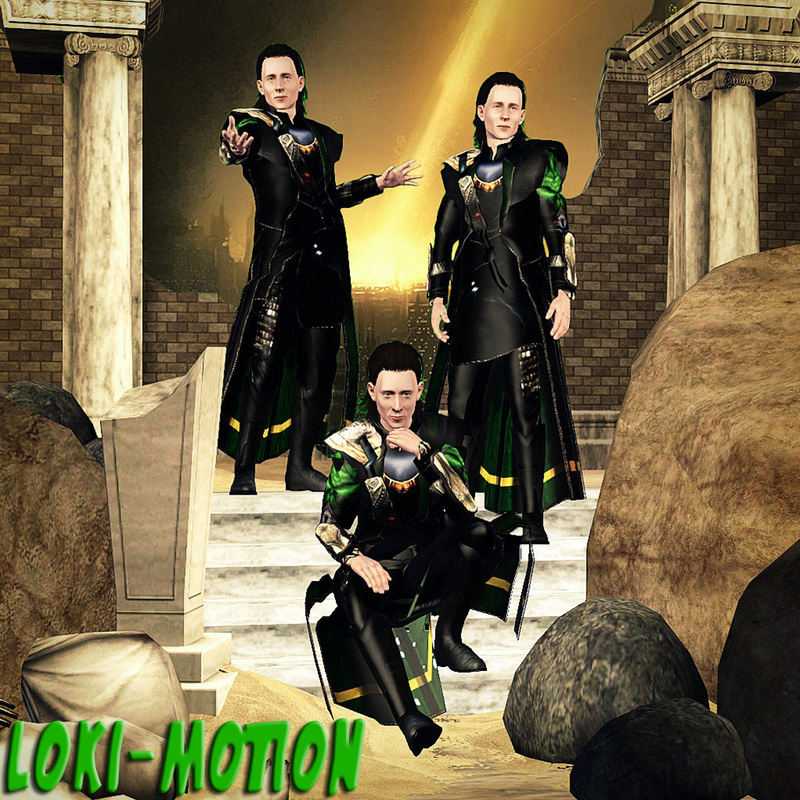 None of it is required for the poses. 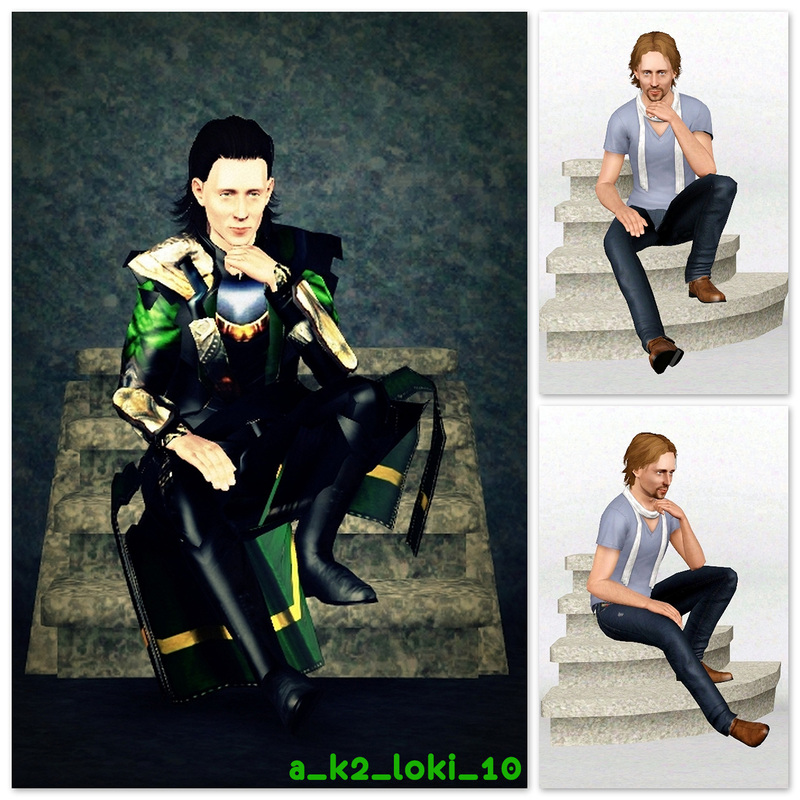 110 people have said thanks to k2m1too for this download.